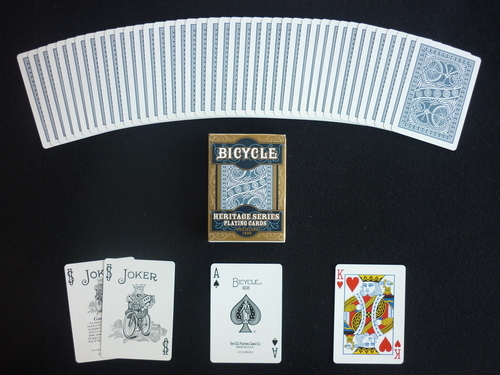 The Bicycle Heritage Series is a collection of 4 old back designs reprinted and simultaniously released. 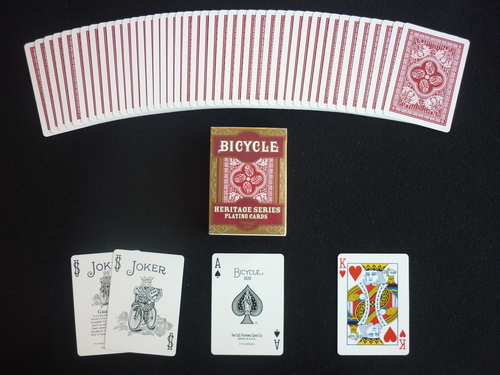 The backs are "Pneumatic #1" (Red, 1894 -1908), "Tri-Tire #2" (Blue 1905 - 1927), "Pedal" (Red, 1899 - 1917) and "Chainless" (Blue, 1899 - 1917). Each back is only printed in one colour. 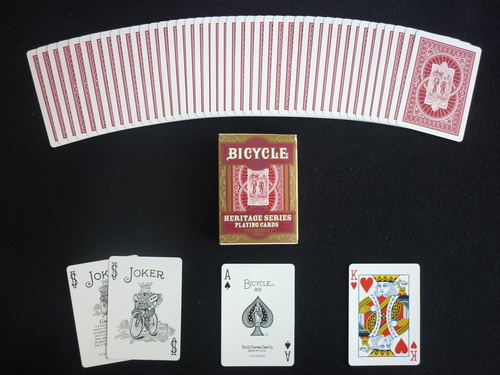 Faces are all Bicycle standard, including the 2 Jokers. 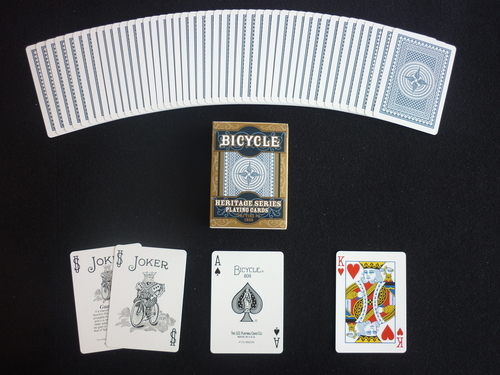 From left to right: Pneumatic #1, Tri-Tire #2, Pedal and Chainless.